Now that the holidays are over, it is time to get back on the low fat horse. 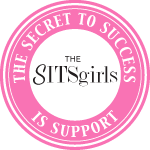 It was a difficult few weeks for me sticking to my restrictions. I admit, I cheated far more than I should have & I paid for it. I have felt horrible from all of the junk food & I am ready to get back to my old healthy life style. The problem is I have an enormous love for sweets. My one indulgence since the doctor put me on my special diet has been non fat frozen yogurt. It is my favorite evening treat. I like to jazz up my fro-yo from time to time to keep it fun. This recipe is two of my favorite things, quick & easy. They are also delicious & did I mention low fat. 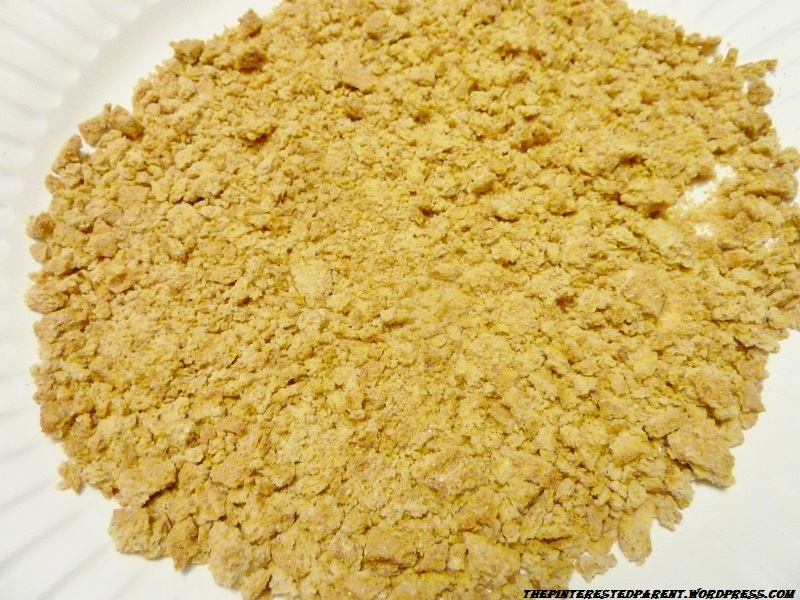 Crush graham crackers using a potato masher. 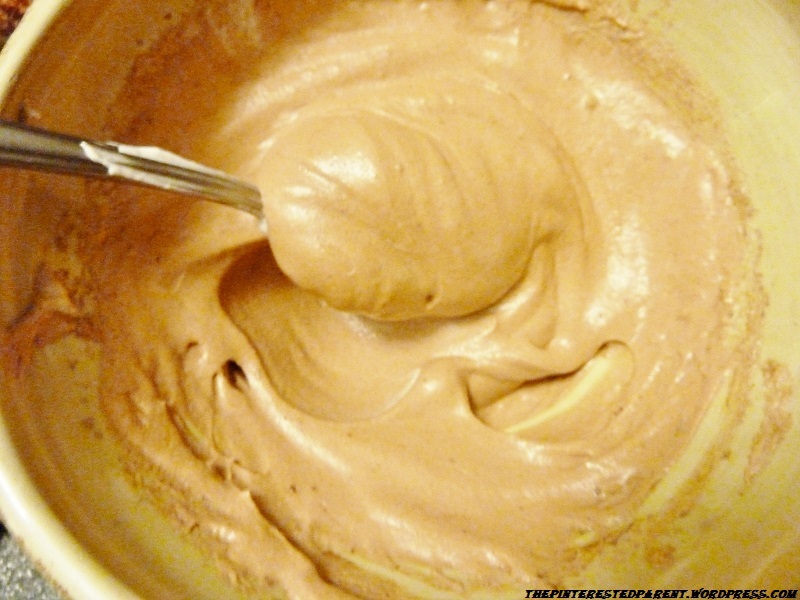 Mix Cool Whip & pudding until well blended. 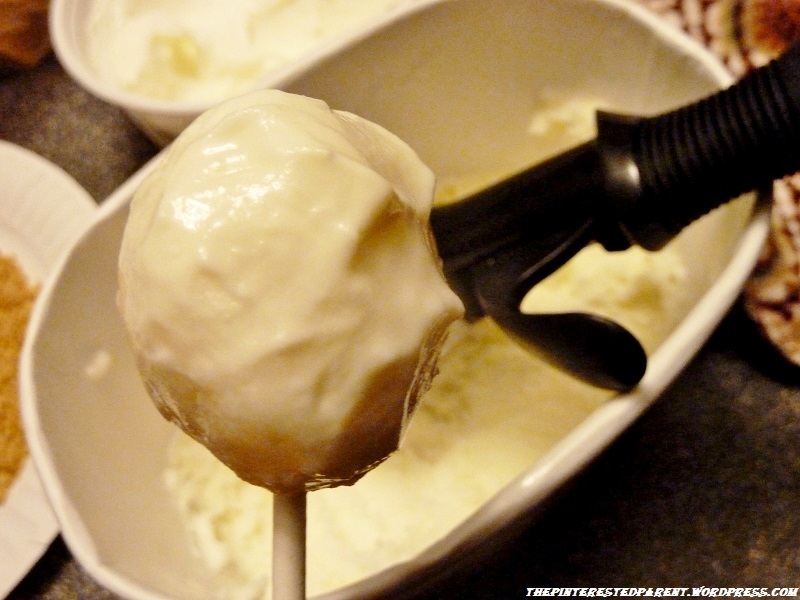 Scoop the a ball of frozen yogurt using a scooper. Roll between palms if needed to create a ball. 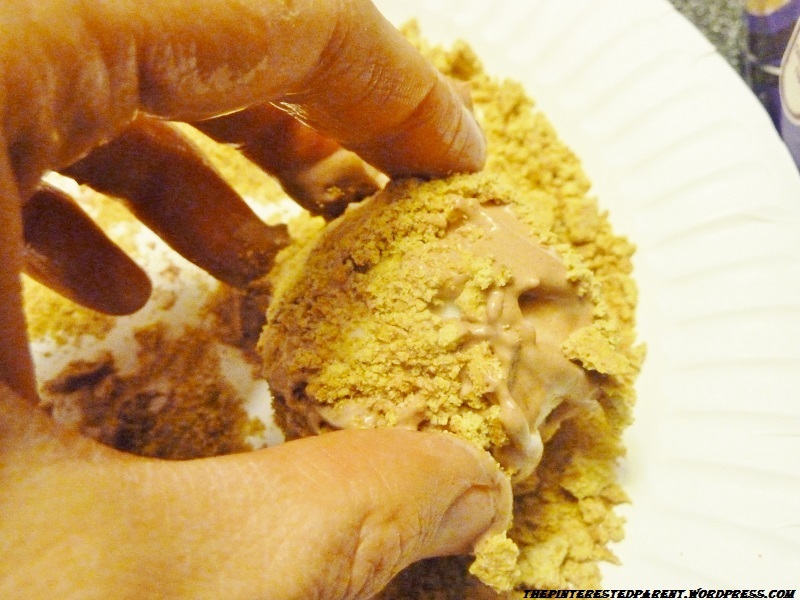 Originally, I inserted the cake pop stick into the ball & then rolled it into the pudding/cream mixture but then found it difficult to roll into the crumbs without falling out after. So I used my hands to dip for the rest & then inserted the pop sticks. 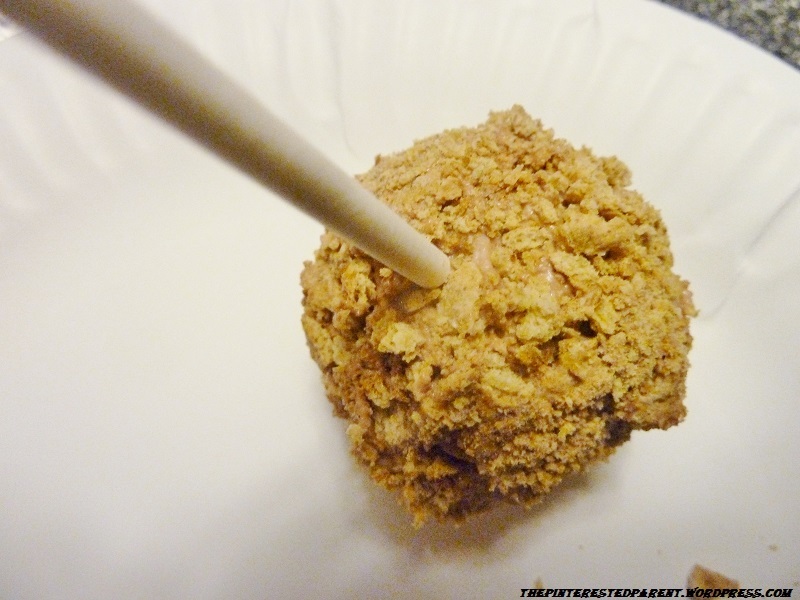 Roll the coated yogurt ball into the cracker crumbs until well covered. Insert the stick & repeat. 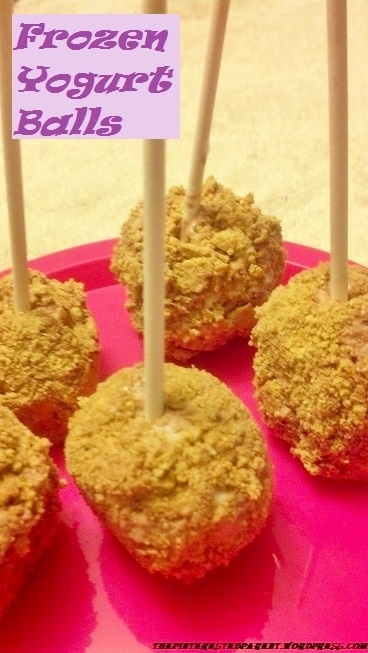 Place pops on a plate, cover loosely with plastic wrap & freeze. 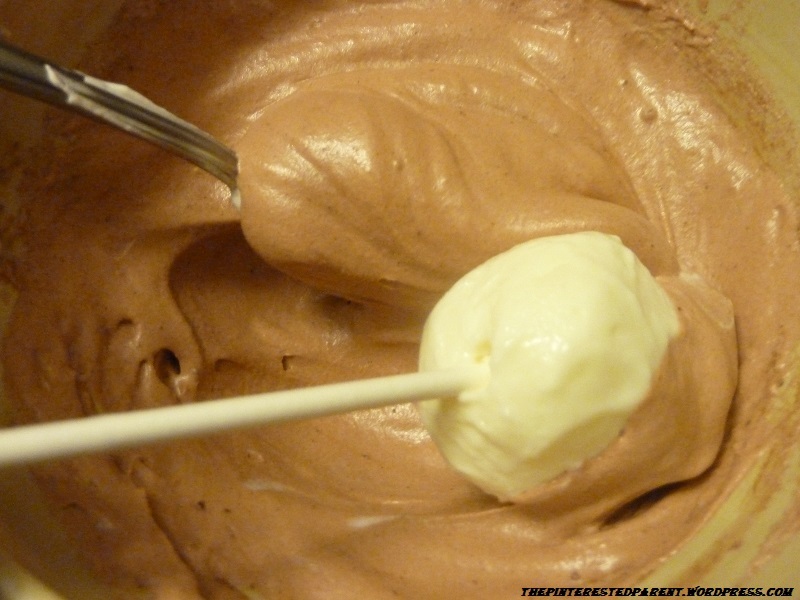 Image | This entry was posted in Recipes and tagged Cool whip, diet, Eating, Food, frozen yogurt, graham cracker, healthy, low fat, pops, recipes. Bookmark the permalink. I know. I still have coffee cakes and other assorted yummy morsels but I have to stop. Its all so yummy though. Holy yum! You always have the best looking food on your blog. I need to make these! I bet my daughter would love them. Thanks Salt. They were really good & like I said low fat which is so important to me. Let me know if your munchkin like s them. This sounds so yummy!! Would you say it’s pretty easy? It was super easy. They were just a tad messy on the hands but quick, easy & tasty. These look awesome! I wonder how they’d taste with crushed Oreos. 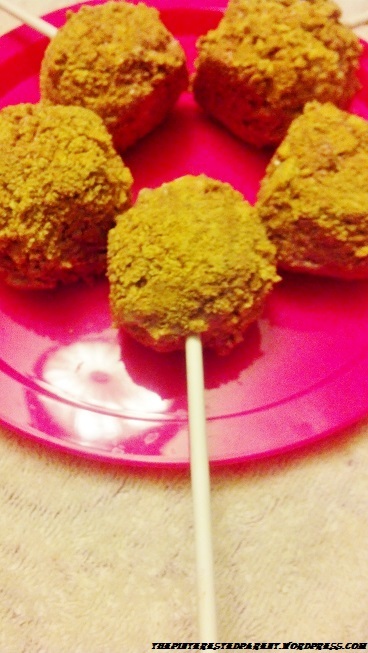 Love snacks on a stick and you can’t beat low-fat, quick and easy.